The Federal Reserve Bank of New York (FRBNY) recently unveiled the publication of three reference rates: the Secured Overnight Financing Rate (SOFR), the Tri-Party General Collateral Rate (TGCR) and the Broad General Collateral Rate (BGCR). The production of the three reference rates signaled the start of the phased transition by the Fed away from the London Interbank Offered Rate (LIBOR) to a new paradigm. This dramatic shift is part of a multi-year effort by regulators to restore market confidence and transparency in the wake of the LIBOR rigging scandal that rocked the global markets. SOFR was first recommended as the US dollar alternative to the LIBOR back in June 2017 by the Alternative Reference Rates Committee (ARRC) – a committee comprised of board of governors of the Federal Reserve (“the Fed”), the FRBNY, financial institutions, trade groups and other regulators. The election of SOFR is the culmination of work begun by the Fed and the US Treasury Office of Financial Research (OFR) in 2014, when the ARRC was convened to create a new set of alternative reference rates rooted in actual transactions. TGCR, BGCR and SOFR reflect transactions in the Treasury repurchase market. TGCR is a measure of rates on overnight counterparty/tri-party general collateral repurchase agreement (repo) transactions secured by Treasury securities, while BGCR measures rates on overnight Treasury general collateral repo transactions. The BGCR includes all trades used in the TGCR, as well as general collateral financing (GCF) repo trades. Of the three reference rates, SOFR was deemed to be the best alternative to LIBOR. “Owning shares in a mutual fund or ETF has never been cheaper. According to Morningstar’s annual fund fee study, the asset-weighted fee for roughly 25,000 funds and ETFs averaged 0.518% in 2017, down from 0.562% in 2016. The 8% drop was the biggest year-over-year decline since 2000, when Morningstar began tracking the data, and represents more than $4 billion in savings for investors, according to Morningstar. Driving the decline were investor preference for low-cost funds — flows into the cheapest 20% of funds within different categories surged 60% — and fee reductions by active funds. 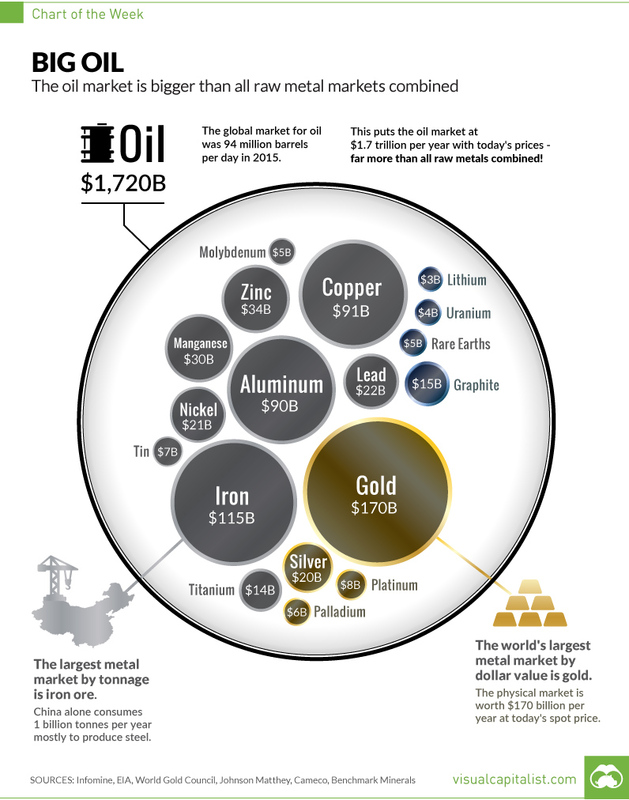 “The cheapest 20% of funds raked in nearly $1 trillion last year while the rest of the industry saw net outflows of approximately $250 billion,” said Patricia Oey, senior manager research analyst at Morningstar, in a statement. “The message investors are sending is crystal clear — cost counts.” Passive funds were the biggest beneficiaries of these flows, accounting for 70% of new inflows; lower cost actively managed funds accounted for the rest. 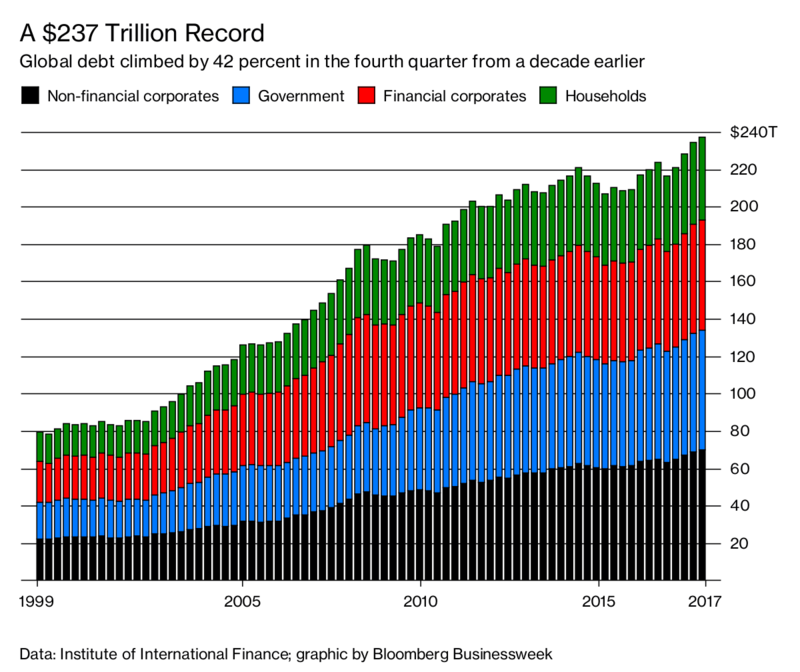 Global debt rose to a record $237 trillion in the fourth quarter of 2017, more than $70 trillion higher than a decade earlier, according to an analysis by the Institute of International Finance. 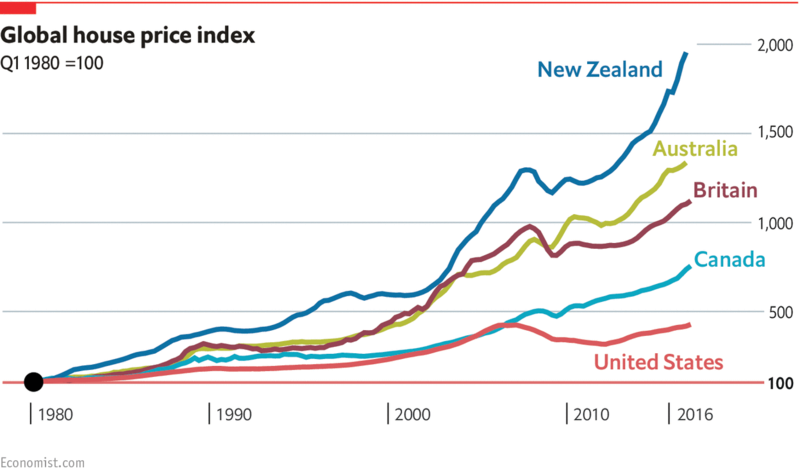 At the same time, the ratio of debt-to-gross domestic product fell for the fifth consecutive quarter as the world’s economic growth accelerated. The ratio is now around 317.8 percent of GDP, or 4 percentage points below the high in the third quarter of 2016, according to the IIF. According to the latest data on global GDP released by the World Bank this February, the U.S. still is the world’s biggest economy – by far. 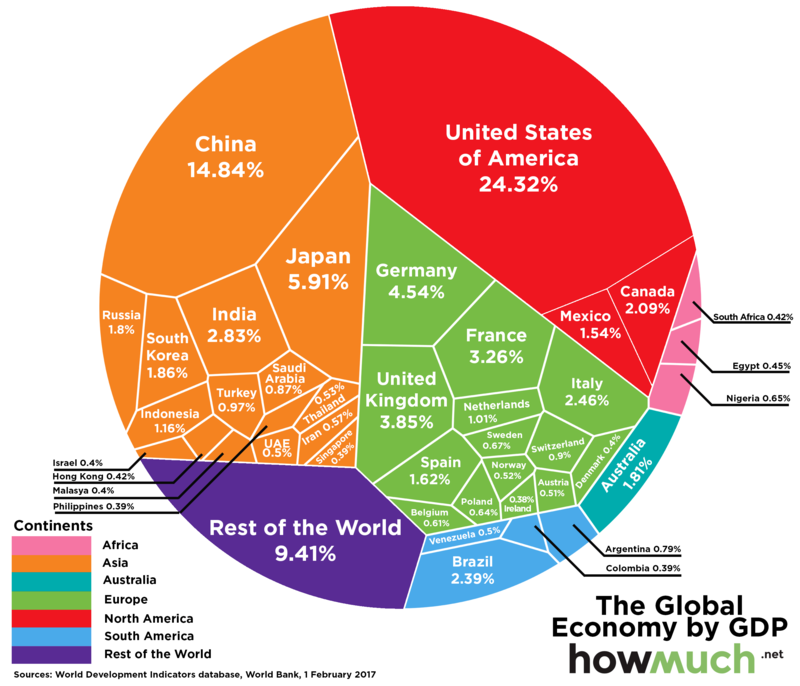 As shown by this Voronoi diagram, the United States (24.3%) generates almost a quarter of global GDP and is almost 10 percentage points ahead of China (14.8%), in second place, and more than 18 percentage points ahead of Japan (4.5%) on three.